WASHINGTON — How often do you eat lunch at your desk? Estimates are that between half to two-thirds of workers eat during their shifts. You might be surprised to learn that it does not help productivity — and it can cause health problems. Squires warns that it’s also all too easy to overeat if you have lunch at your desk. “It’s a lot like when you sit in front of the television, and you mindlessly eat that bag of chips or popcorn or whatever it is that you’re eating,” she said. “If you’ve been eating breakfast, lunch and dinner at your desk, or even just lunch … you don’t start cold turkey,” she said. Another tip is for coworkers to eat together. “There’s really evidence to suggest it is great for team building, to get to know your colleagues a little better,” Squires told WTOP. But what if you can’t get away from your desk to eat? At least people can make it healthier and better. Consider bringing in your own plates, as well as real silverware and maybe a place mat, Squires advised. Then turn off your phone and turn away from your computer. People also need to chew their food thoroughly, just like mom always said. 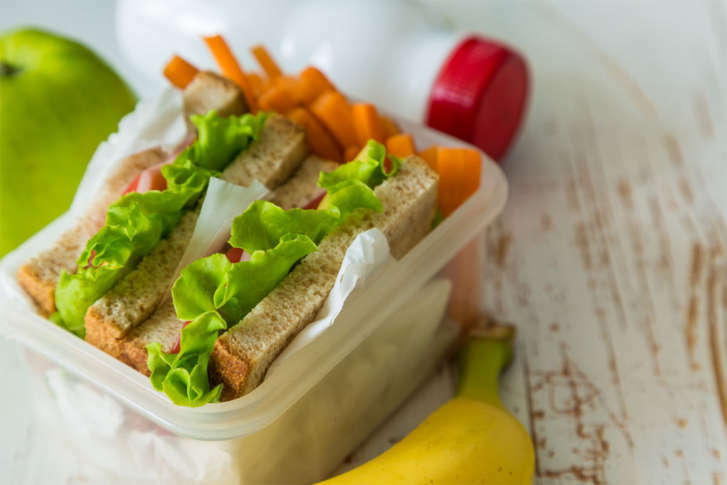 “There’s actually research that now says if you’re chewing your food more slowly at lunch, you consume a little less,” and you may be less likely to eat more than a snack in the afternoon, according to Squires. It’s all about giving yourself the time to get away from work for a little bit.